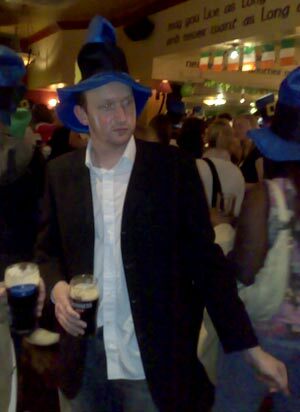 Last night I popped down to the local Irish themed watering hole for a quiet drink after work. Imagine my surprise when I found hundreds of people, all drinking heavily. I was stunned and slightly disgusted at the quantities of alcoholic beverages that were being consumed. Naturally I joined in and got absolutely munted. You can see the full album on Facebook. Should have been in NYC my son. Not bragging but there were HUNDREDS of these parties last night just within walking distance of Times Square! Needless to say, I stayed in editing a powerpoint document.